The John Bray Law Alumni Network warmly invites you and your colleagues and friends to the 2014 John Bray Oration, to be delivered on Wednesday 24th September 2014 by The Honourable Dr Margaret J White AO. Dr White is a retired Judge of the Queensland Court of Appeal and an Adelaide Law School graduate. 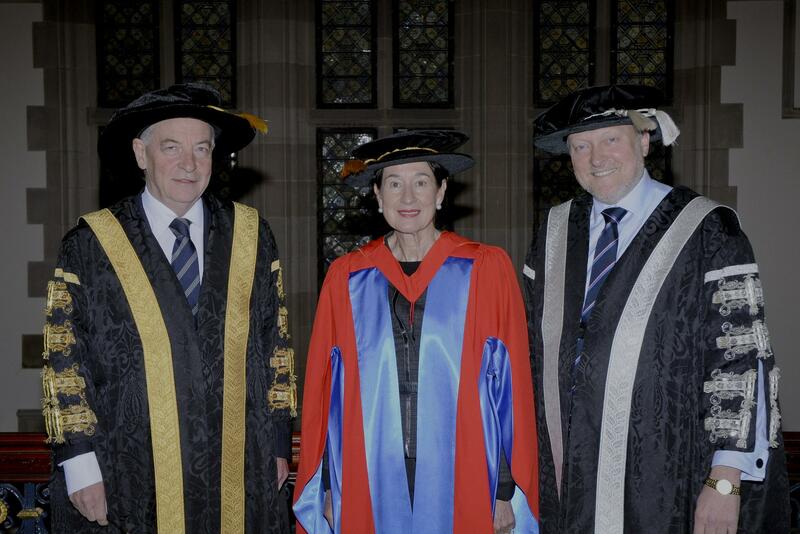 Earlier this year she was awarded an honorary degree of Doctor of Laws (honoris causa) from the University. Dr White has just been appointed to the National Maritime Museum Council in Sydney and is the current Chair of the Winston Churchill Memorial Trust. In 1992 Dr White was appointed to the Supreme Court of Queensland. She was the first woman appointed to that Court. In 2010 she was appointed to the Queensland Court of Appeal and retired in June 2013. Dr White was appointed an Officer of the Order of Australia in 2013. Dr White has also been the Commander in the Royal Australian Navy Reserve, Deputy President of the Defence Force Discipline Appeals Tribunal and Deputy Chancellor of the University of Queensland. This entry was posted in Events, News and tagged 2014 John Bray Oration, adelaide law school, The Honourable Dr Margaret J White AO. Bookmark the permalink.